As we approach the end of the year, I’d like to first thank everyone who has been an avid reader for all the major shifts we had in 2018! This has truly been a year of clearing out and purging. Sadly, in the past month we have been seeing a lot of people leaving, and some of them very young. Think of 2018 as a year of blasting through concrete to open up and resolve some of our deepest patterns and wounds. This concrete held many layers that we ended up moving through since 2015. This year held the final cycle before the concrete was finally cracked open. Moving through a lifetime of memories, cycles, and bad habits very quickly may make a person feel they cannot handle the pain. This has caused many to succumb to leaving the Earth plane sooner than expected. This also may have caused some to rapidly pursue their addictions to an extremely high level. In the past year, we also had many intense eclipse periods that have been tough for people to handle. If you are reading this and can relate, then you are moving through and should congratulate yourself for a job well done! We still aren’t out of the woods so to speak. But a time of great healing is near. 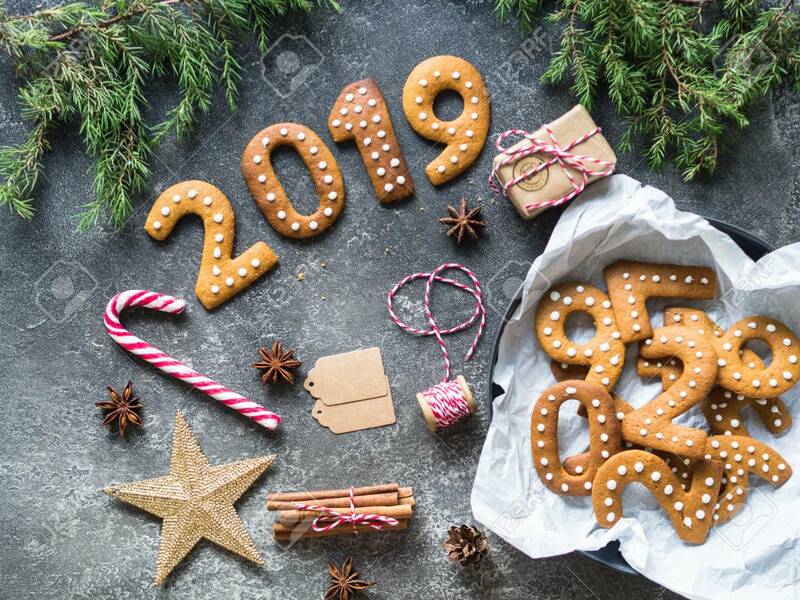 The New Year (2019) is a “make” or “break” year. This particularly has to do both with business and romantic partnerships. If you have been struggling with defects that held you back in either of these areas, this coming year will be a time when you MUST put the pedal to the metal and give it all you got! This year holds no room for procrastination, and the universe will not give any extra time or permissions. It is a year when you must take LEAPS and BOUNDS in both of these areas. And the decisions you make will be long lasting. If you have been trying to make headway in business, it is the time to break any cycles that have not been working in the past. This year you *MUST* take some risks. These risks should not be impulsive or emotional in any way. They should be well thought out, but you must do things differently. Make sure to connect with all of your counsel and guides before making these decisions. If fear is holding you back, this past year would have definitely brought those issues to light. It is now time to face them, heal them, and move ahead. Looking into the past will not work in your favor in 2019. You must almost start a NEW life, not just a new chapter. In addition, this is a time that you must be PRESENT and in constant PREPARATION. If leaps are taken and you are not mentally, spiritually, emotionally or spiritually prepared, you will not receive your rewards for hard work done this year. And you have earned those rewards, so don’t let a lack of being prepared let your rewards fall through the cracks!!! It is a time to also prepare for your inner healing. You have been seeing physical manifestations of fatigue and chronic issues this past year. That is because there is heavy emotional energy coming to the surface. If not healed on the emotional and spiritual level, it can manifest as chronic issues. Do not bring any physical issues with you into the New Year. It will affect your ability to be prepared. Once your train comes in, you must pack your bags and move quickly! And you must be alert, aware and make decisions with clarity. In terms of romantic relationships, this year may have brought you back into the past a bit to either reconnect with old relationships, or revisit old patterns. This New Year (2019) is not a time to get back with an ex, or revisit any relationships from the past. If you are in a relationship that has been chugging along for a while, it’s now time to give 100% to this relationship and forge ahead. Leave your backpack of heavy emotions and past hurts at the foot of the hill as you move ahead! Bringing the past in to your present relationships will also slow your progress this year. So just trust and forge ahead! This is also a year where the universe will help you settle. You will be provided many foundations to finally feel secure. If you are in business, 2019 will bring you the right support people (finally)! In the relationship area, you may finally decide to take big steps. This is because you are now on firmer foundations. In the home sector, you may actually PURCHASE a dream home. This will act as a solid foundation to support your healing in 2019. Once you have decided to heal the past, you will be well on your way to a whole new life and will finally be able to experience the happiness and peace of mind you’ve always envisioned! Take advantage of what this year brings. Be prepared and take your biggest leaps!!! It will certainly pay off and you can fulfill your dreams! All my best for your upcoming success and magical dreams!